Here are some more home looks I love and you can recreate with items we offer in our StarHomeStudio shop. 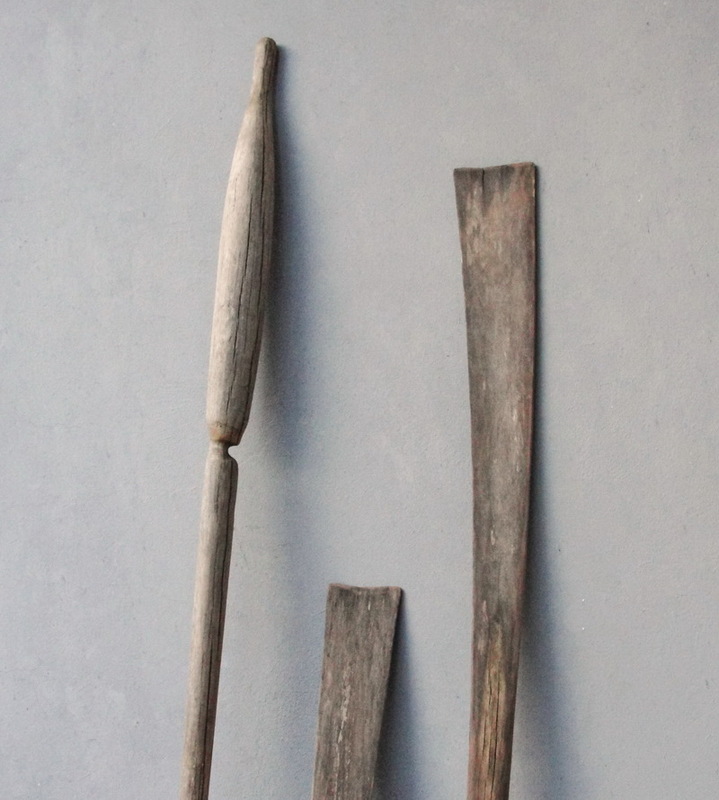 I have already posted an entire blog post dedicated to vintage oars, but we do have some new ones in the shop, well not new as they are pretty old and hand carved, but newly listed. I love the idea to hang them in a set on the wall in a narrow room like a hallway as seen in the picture above at TheLilyPadCottage. 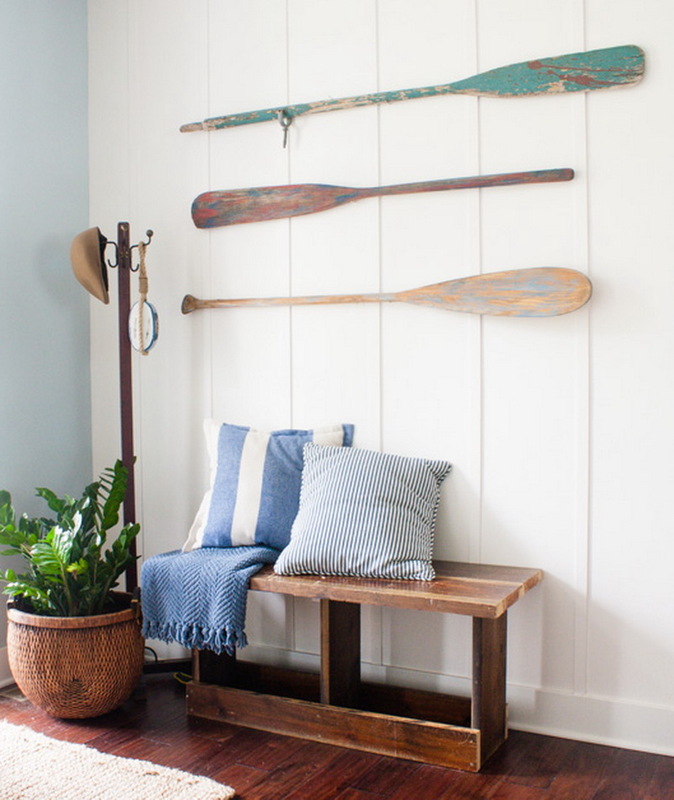 Speaking of oars I've made a coat rack of one with paint residue which I always love, the 5 hooks are all different old mismatched hooks, I painted them with an anti rust paint in the same color and now they look lovely and shabby together. 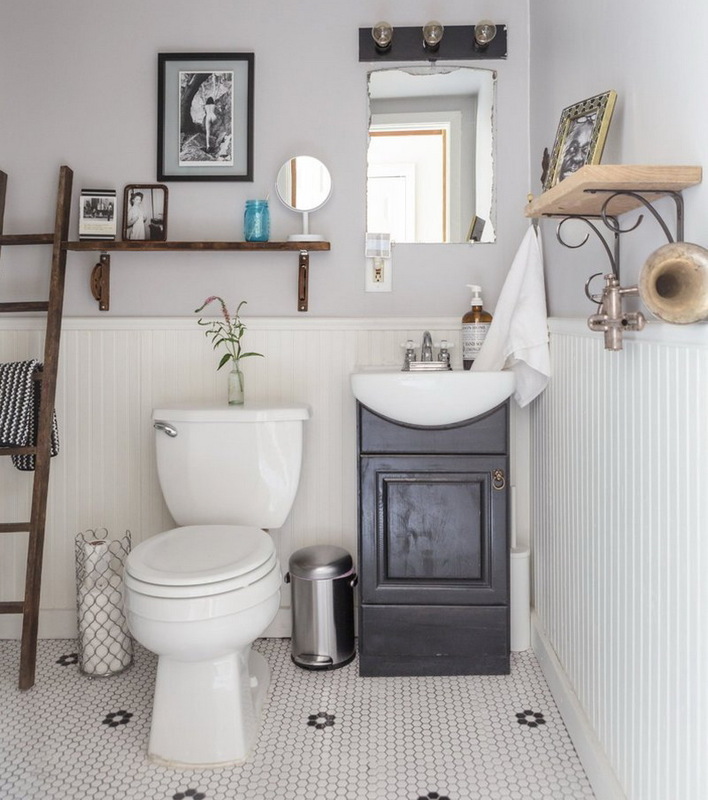 I find this bathroom (found on Apartment Therapy) in general beautiful, but I got a smile when I saw the shelf on the right as it looks a lot like the shelf I made with a thick beautiful piece of driftwood. 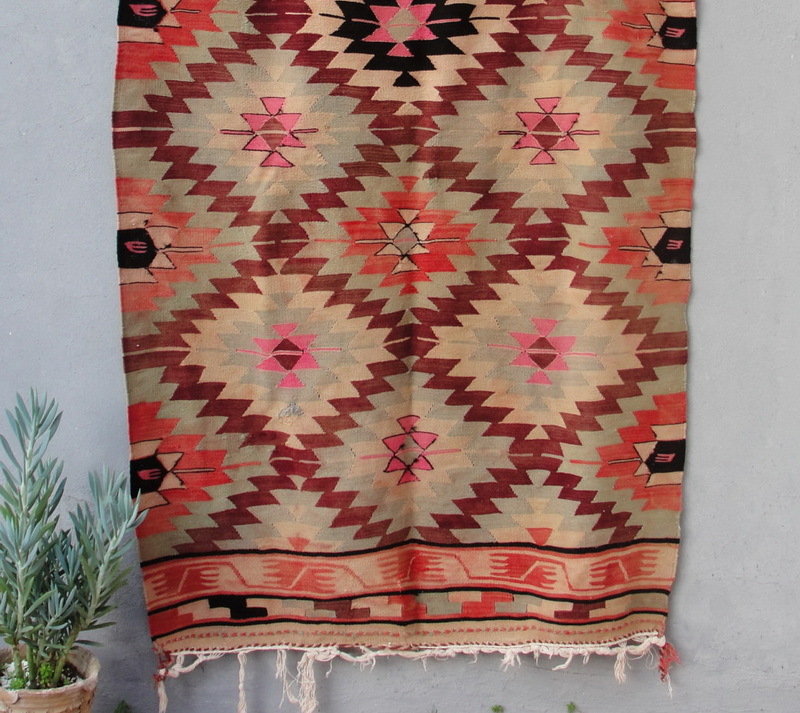 We are also slowly expanding our collection of vintage kilims in the decor shop. I love how the colors of the kilim are used for the pillows again at StyleMePretty. 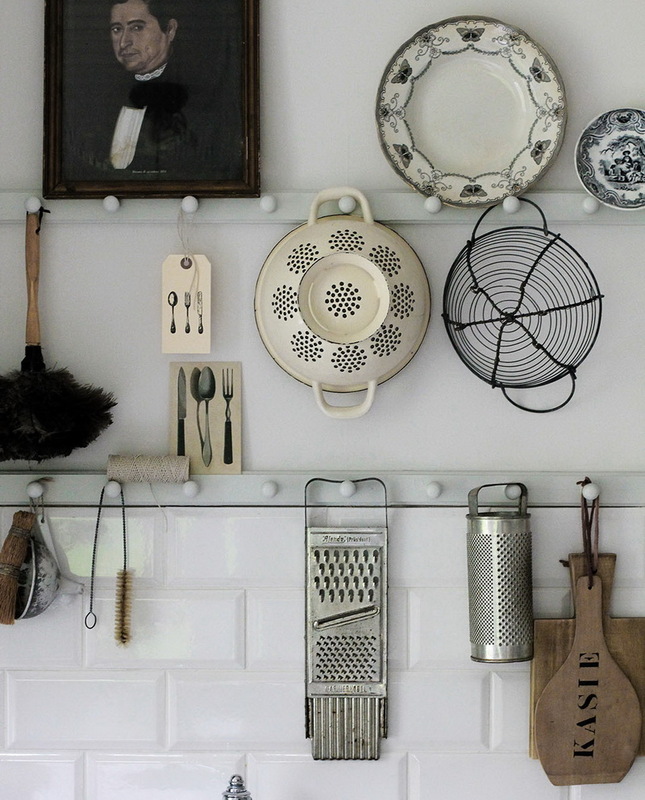 Don't you just love old kitchen ware? It is even prettier when it is displayed like here on LovelyLife, I love the unusual arrangement! We are offering an entire set made out of recycled tin; a kitchen rack with 4 funnels, 1 grater, 1 cookie cutter and one radiator humidifier. So beautiful details and interiors. Love this style so much! Great post! I love this home look! Wonderful pictures and great stuff! Great new products! I love the kilim rug! Mostly because of the design wich I totally love and also because I actually know how much time it takes to make such a rug! My grandma has a huge loom and she made some traditional carpets during winters! It took almost a winter to finish one! Wonderful items all of them! 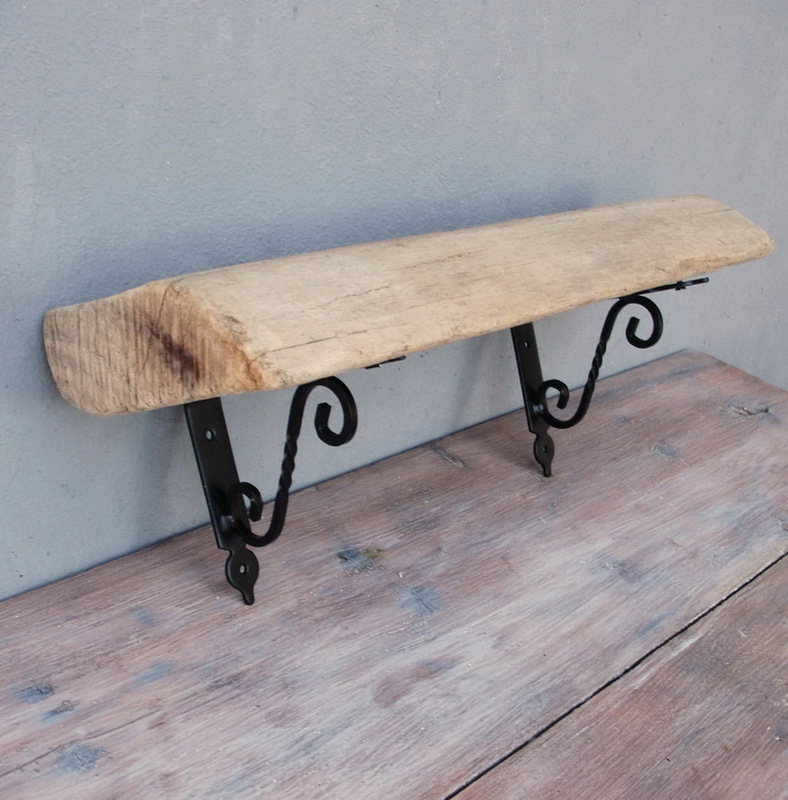 My favorite is the coat rack though, love all the different hooks!